Zone 3. 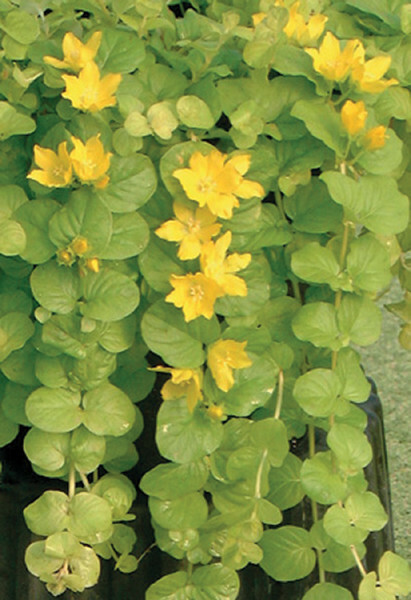 Golden Creeping Jenny. Flowers July, August. A golden version of it's cousin Lysimachia nummularia. Same characteristics but slightly less robust. Prefers light shade. 2" to 6" tall.